Singapore CCTV: When Should You Use Pabx Phone System In Your Office? When Should You Use Pabx Phone System In Your Office? 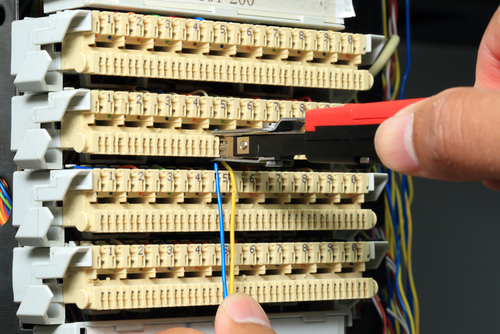 Short for private automatic branch exchange, a PABX system is used to create internal telephonic networks in offices. 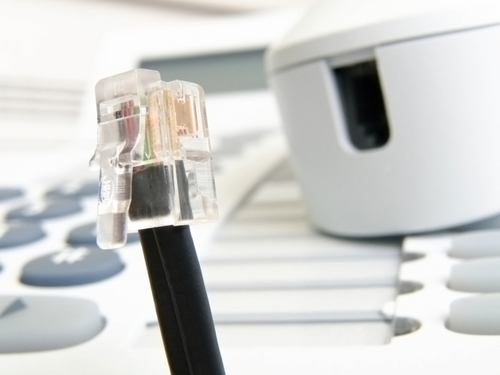 What’s the use of a private telephone network within the walls of an office? Well, there are several. However, before revealing all the advantages of installing a PABX system, let’s concentrate on understanding what happens when we do not. If there are no PABX systems in place employees are forced to use traditional paid services to make inter-departmental calls. Now, depending on the degree of interaction that happens between different departments and employees within an office building, the monthly cost of internal call alone can be astronomical. By creating a private network, a typical PABX system allows you make those very same calls for free. Now, that’s just one of many other features that a PABX system brings to the table. It’s a complete phone management system that can help you manage your offices outgoing and incoming calls much more necessity. When Should You Use PABX System In Your Office? PABX might offer a great solution for managing official calls, but it’s certainly not meant for all offices. For some organizational spaces, a PABX system can act as a boon and its installation alone can drive up productivity and efficiency while lowering monthly expenses. However, there are also offices that simply do not need a PABX system. To find out if your office needs a PABX system or not following are some of the telltale signs that indicate its necessity. A Lot Of Internal Calls: This may seem like an obvious point, but this is the first and foremost reason why an office should or shouldn’t switch to a PABX system. There are some offices that only receives a few calls a day. For these offices, installing a dedicated PABX system can prove to be a complete waste. On the other hand, offices that witness a lot of call traffic along with a lot of internal calls may find the features of a PABX system absolutely essential. Office Has A Lot Of Different Departments: There are plenty of offices that houses a lot of departments in the same space such as accounting, legal, sales, marketing, HR, administration, and others. 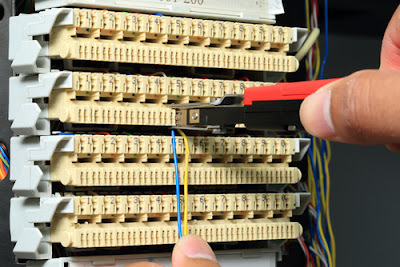 Considering all these departments need a separate phone connection in order to talk to each other and to make external calls, installing a PABX switch should be an obvious decision. Massive Load Of Incoming And Outgoing Calls: Even if your office do not have a lot of departments but receives a lot of calls from clients and customers, getting PABX installed may turn out to be a great move. PABX allows you to manage multiple calls simultaneously and also lets you transfer them or put them on hold. PABX system also allows you to record custom voice messages for callers to hear whenever they call your office. Simply put, if your office receives a lot of calls from a lot of different people which needs to be handled by different employees then there is no debating the importance of installing a proper PABX system. A Lot Of Employees Require Telephone Connection: In today’s work environment, there is a crucial need for employees to interact with each other in order to coordinate their efforts. Now, there is no sense of using traditional phone connections to make all these calls. A PABX system can not only dramatically reduce the expenses of these calls but also makes it a lot easier to manage. Apart from the monthly expense, installing a PABX also allows you to allocate different extension numbers for different phone units in your office. This feature greatly simplifies internal communication. There Is A Regular Need For Conference Calls And Over-The-Phone Meetings: Offices with different branches in different cities need to communicate with each other via conference calls. Conference calls are also an effective means of communication for offices that deliver client based services. A PABX system comes with impressive features that make conducting conference calls an absolute breeze. Using a PABX connection employees situated in different locations can be patched in to attend a telephonic meeting. Now, there is a clear understanding about offices that need PABX, let’s go right ahead and take a look at some of the most important features and advantages of installing this system. One Central Number For All Communication: It makes sense to have one centralized number for your company. This eliminates confusion as clients, customers, and employees can call in this one number and get patched through to the right department or person. Having a one central number also makes sense from a marketing standpoint. This is mainly because the marketing team can feature that one single number in all the company ads be it newspaper, online, or television. A PABX system is based around a centralized switch that divides a single telephone connection into multiple sections for different departments and allows your company to retain one central number. 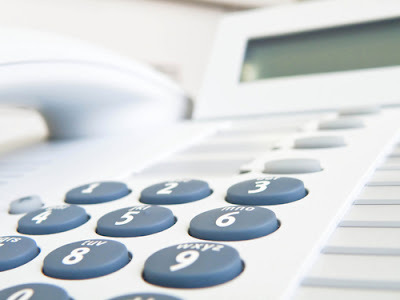 Offers A More Professional Approach To Call Management: With features like on-hold voice message, multiple call handling capability, quick call switching features, a PABX system allows your company’s telephone operator to manage the incoming calls much more efficiently and professionally. Employees Have Dedicated Voice Mail Box: This is a great feature that creates a separate voice mailbox for all the extension. Allowing clients and customers to record their messages, this makes sure that information is stored and passed on even when there is no one at the desk. Easily Scalable Architecture: If you are company is small, chances are there only a few employees working for you. However, as your company grows you would need to hire more people for different departments. As the company expands you need a telephonic system that also expand with it. PABX is definitely one such system. It takes comparatively little cost and effort to scale your existing PABX system’s capability and it can continue to grow as and when you want it to. Takes Up Little Space: As mentioned earlier, the entire PABX system is controlled by a centralized switch. The switch itself is very small and can easily wall mounted or hidden out of view. In short it takes very little space to install a PABX system making it ideal for both limited and large sized offices.